A portrait of my free-spirited cousin, Winx. When we were younger, he went skating on a broken skateboard– more like half of a skateboard, in sneakers with paper fasteners as laces. 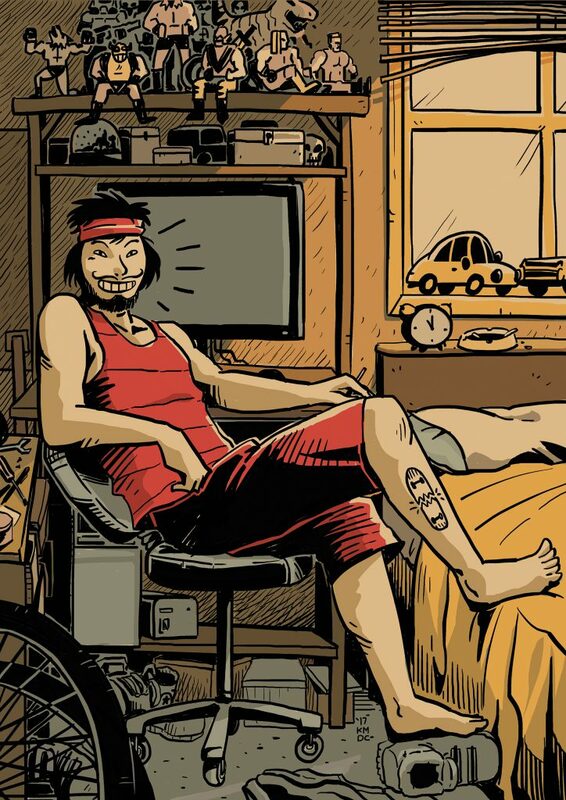 He ended up with a broken leg that day, and got the cursed skateboard tattoo a few years later. Hahaha.